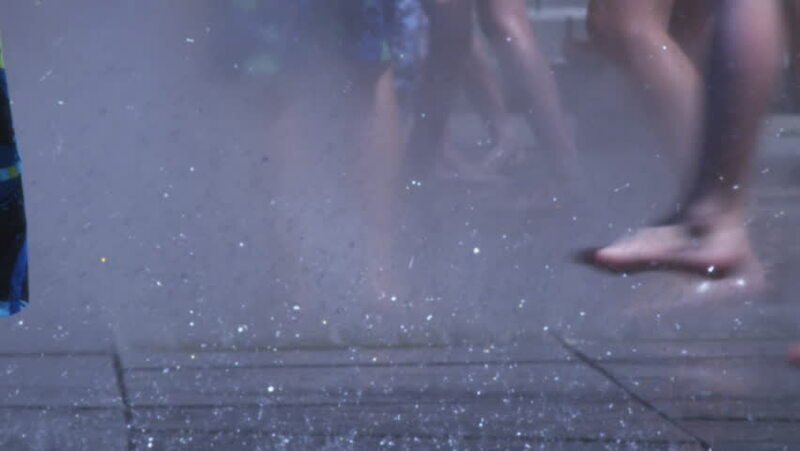 Salt Lake City, Utah - CIRCA - 2009 - Barefeet running and playing and jumping in a splash pad fountain. hd00:46Rain, drops of water fall to the surface in slow motion. 50fps. Close-up.